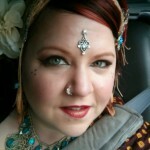 Home » Blog » Styles » American Tribal Style » I *heart* ATS Month begins this week! 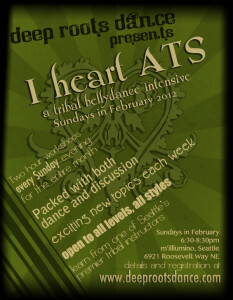 Just a reminder that I *heart* ATS Month: A Tribal Intensive begins this Sunday, February 5th at m’illumino. 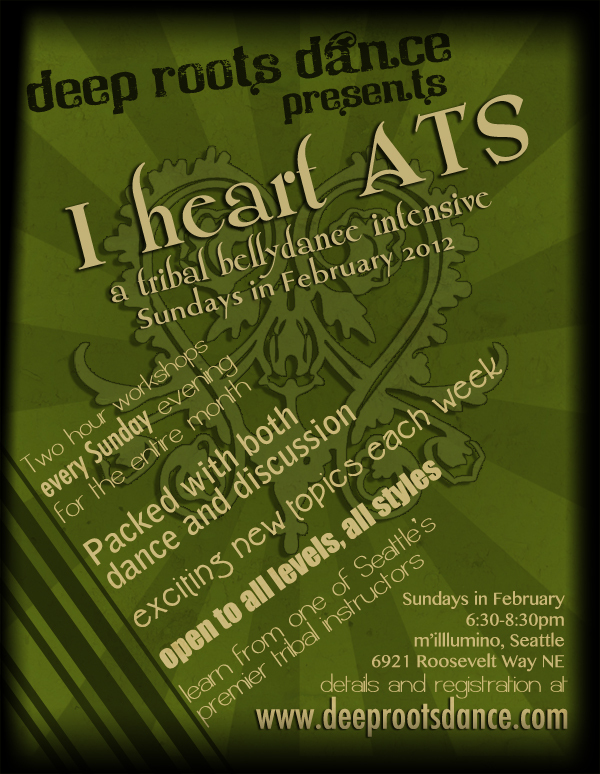 We will have two hour workshops every Sunday evening during the month of February, focusing on ATS-based group improvisational bellydance and its fusion offshoots. We will spend time on strength and flexibility work, individual movement technique, partner concepts, history, costuming, and more. If you haven’t registered yet, head on over to the workshops page and sign up now! Week 3: Level 2 Repertoire Cont’d, Finger Cymbals, Group Staging & Trunk Show Shopping!